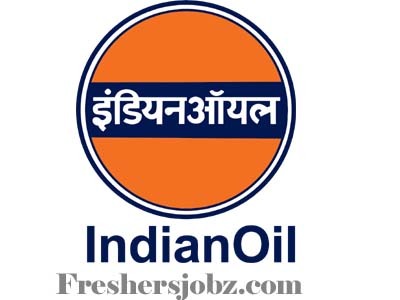 IOCL Notification 2018.Indian Oil Corporation Limited IOCL has released a notification for the recruitment of Apprentice vacancies.Check the eligiblity and notification prior to apply for the positions. a .For Technician Apprentice-Mechanical : 3(Three)Years full time regular diploma in Mechanical Engineering from recognized University/Institute with minimum 50% marks in aggregate for General & OBC candidates and 45% marks in aggregate in case of SC/ST candidates against reserved positions. b. For Technician Apprentice-Electrical : 3(Three) Years full time regular diploma in Electrical Engineering from recognized University/Institute with minimum 50% marks in aggregate for General & OBC candidates and 45% marks in aggregate in case of SC/ST candidates against reserved positions. d. For Technician Apprentice-Civil : 3(Three) Years full time regular diploma in Civil Engineering from recognized University/Institute with minimum 50% marks in aggregate for General & OBC candidates and 45% marks in aggregate in case of SC/ST candidates against reserved positions. e. For Technician Apprentice-Electrical & Electronics : 3(Three) Years full time regular diploma in Electrical & Electronics Engineering from recognized University/Institute with minimum 50% marks in aggregate for General & OBC candidates and 45% marks in aggregate in case of SC/ST candidates against reserved positions. f. For Technician Apprentice- Electronics : 3(Three) Years full time regular diploma in Electronics Engineering from recognized University/Institute with minimum 50% marks in aggregate for General & OBC candidates and 45% marks in aggregate in case of SC/ST candidates against reserved positions. l. For Trade Apprentice -Accountant: Graduate in any discipline(full time course) from a recognized University/Institute with minimum 50% marks in aggregate for General & OBC candidates and 45% marks in aggregate in case of SC/ST/PwBD candidates against reserved positions. Age: Minimum 18 years and maximum 24 years as on 31.10.2018( Relaxable by 5 years for SC/ST,i.e. upto max of 29 years, 3 years for OBC i.e. upto max of 27 years, for the posts reserved for them). Candidates belonging to PwBD categories shall be given age relaxation upto 10 years for General category, upto 15 years for SC/ST & upto 13 years for OBC (Non-Creamy Layer) Candidates if considered against reserved positions.